The Sailing Ship Columbia, as it leaves dock, shows a feeling of summer with the flag waving in the wind! As much of the country battles below normal temperatures, freezing rain, sleet, snow, and cold rain, I thought I would take a little time today to hopefully warm us all up with some Disney photos from this past summer. Hopefully, seeing these photos will help you put your mind on the summer and that will help to warm you up! At the very least, it will give you something to look at — and hopefully give you something to look forward to in the future! 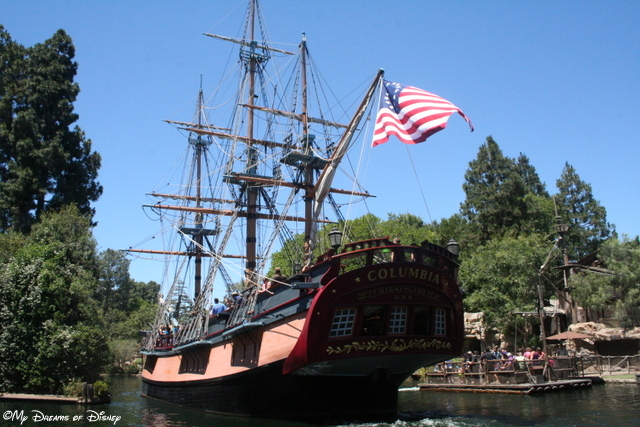 Our first picture is from Disneyland — the Sailing Ship Columbia. Riding on this replica ship was a lot of fun, and the day was so nice, it was a great day for a boat ride. Just look at how the flag waves in the breeze — it looks nice and warm, doesn’t it?! Posing for photos with Phineas and Ferb at Walt Disney World! Ah, shorts. I remember what those things are! 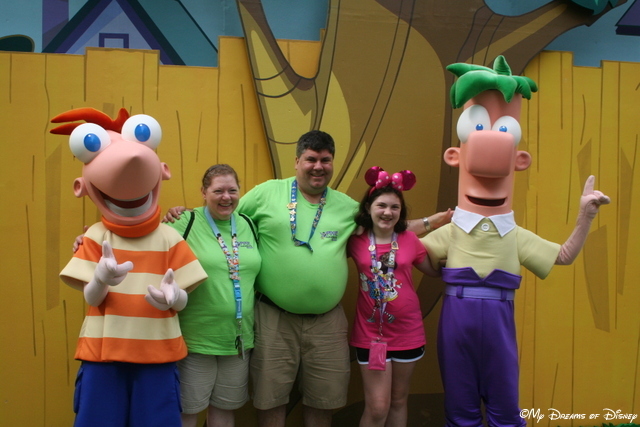 Shorts, t-shirts, and pictures with Phineas and Ferb — it’s always summer when you get your picture with them! While we are thinking about summer, let’s watch the theme song from the show! Speaking of summer, it’s just not good without a dip in the pool! So, speaking of summer…how about a dip in the pool! I haven’t been in the pool at Old Key West, but I have toured the resort — and I think I would like the pool as much as the resort! 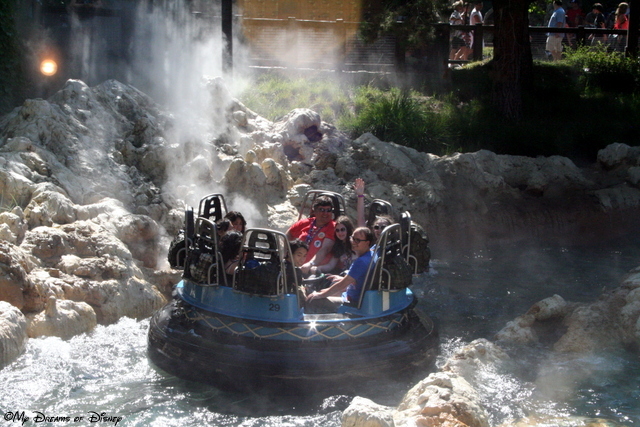 Grizzly River Run — another great way to enjoy the summer! OK, so this picture isn’t Disney related — but it still represents Summer! 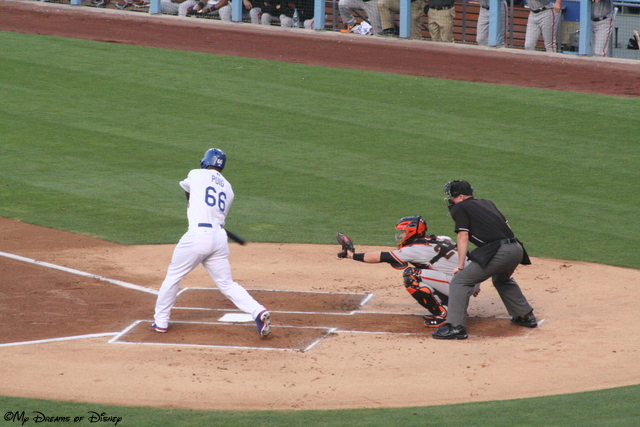 My last picture is of the Los Angeles Dodger’s rookie Yasiel Puig hitting a home run against the San Francisco Giants! We were able to go, and even though this isn’t a Disney photo, it still counts because we wouldn’t have gone to this game if we hadn’t gone to Disneyland! Plus, nothing speaks of summer more than the Boys of Summer! To close us out, I’m sharing with you a song that I haven’t heard in many, many years — but one that I absolutely love — and enjoyed hearing last night. How about it — let’s get busy Talkin’ Baseball! Thank you for stopping by today — I hope that those of us in cold weather climates have been able to warm up a bit just thinking about what our summers might bring our way! Stay warm, everyone, and have a Disney Day! Well, I was trying to be positive about our December, early-in-the-winter game lot in life… but these wonderful, warm weather Disney shots have me thinking otherwise! 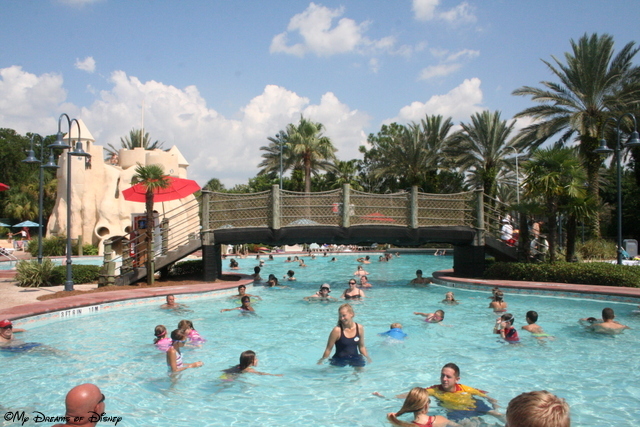 ;) Love the pool and Grizzly River Run shots. My family is thinking we may be due for our first Disneyland trip next vaca!